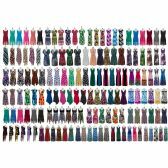 So you're looking for wholesale summer dresses. You have come to the right place. Blue Star Empire is all about chic and stylish summer dresses at huge discounts. In the business, we work with the best who have years of experience in choosing the most popular chic apparels that your customers will be desperate to wear. Fashion forward styles inspired by the classics with a twist every time will keep your clients coming back each week. Blue Star Empire offers a worry-free experience where you can buy a range of wholesale ladies dresses across different categories, including summer dresses and spring dresses. 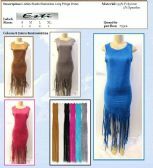 There is a wide range of designs to choose from women summer dresses. 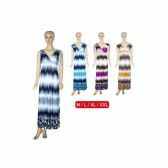 With our latest collection of ladies sun dresses, you will surely attract your clientele and compete against large entrepreneurs. Our floral, butterfly and peacock printed dresses are widely popular among customers. At Blue Star Empire, you will discover summer apparels in a range of sizes to suit women of all ages. 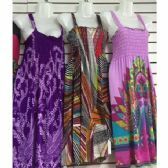 To get access to our newly arrived wholesale sun dresses and their price list, create an account or simply login at our site.